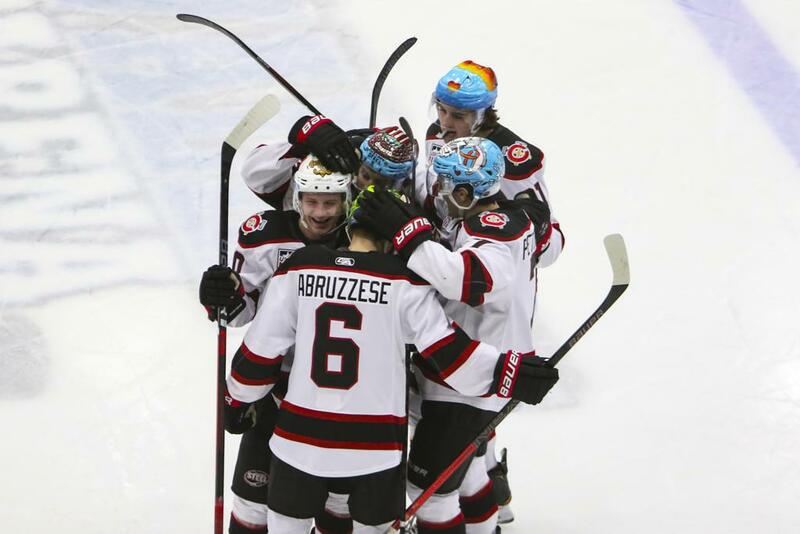 GENEVA, ILLINOIS – In what is believed to be the first promotion of its type in hockey history, the Chicago Steel (United States Hockey League) wore specially designed helmets during their November 30 game against the Central Illinois Flying Aces that were auctioned of after the game to provide local art and music supplies to kids battling cancer. Steel players each wore a unique helmet designed by area students and artists as part of the team’s Crazy Hat Night, presented by School of ART in Geneva. The auction and a portion of ticket sales raised over $3,500 for the Alyssa Alvin Foundation for Hope, a local charity that provides art and music supplies to children battling cancer during their chemotherapy treatments. The event made for a more colorful viewing experience for fans with the home team donning the special lids. 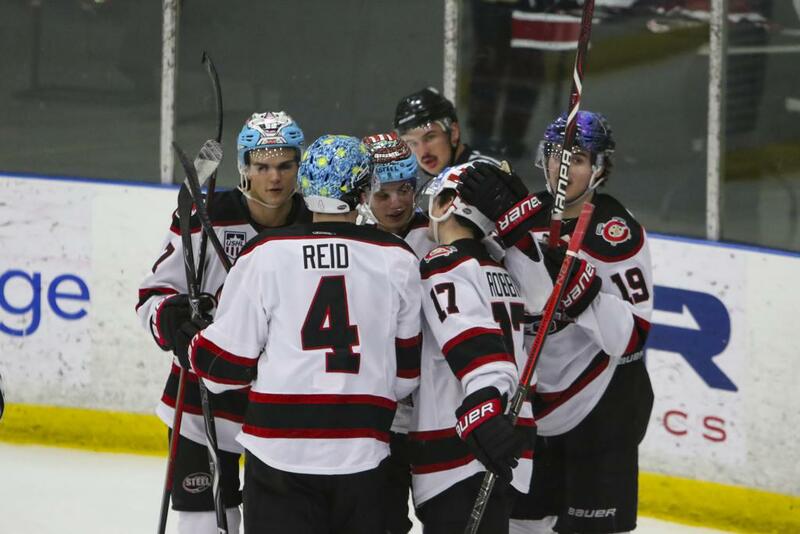 Chicago rode the excitement from the crowd to a 5-4 win over the Central Illinois Flying Aces. 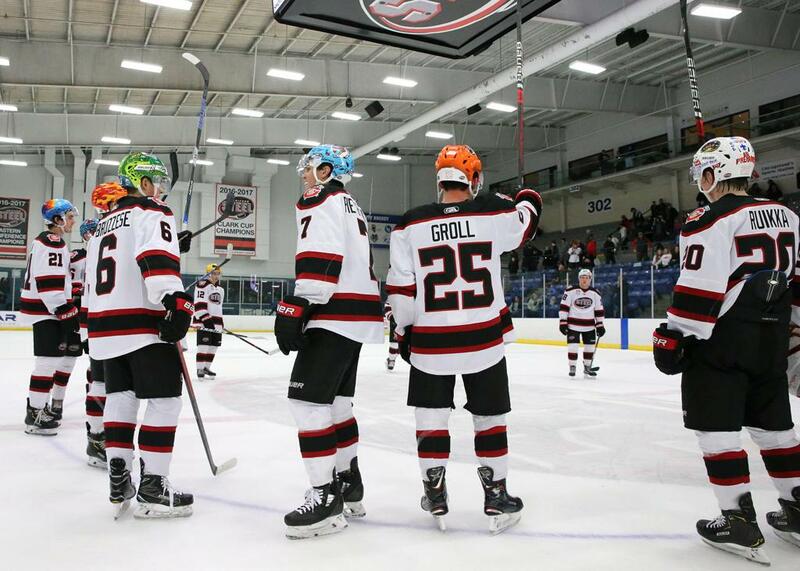 The Steel believe this to be the first time in organized hockey that all skaters for a team have worn individually designed helmets during a game. Helmets were designed by nine area elementary school art classes, a Cub Scout Pack, the School of ART and other local artists. Helmet designs ranged from everything from inspirational to decorative and included themes such as Mickey Mouse, Bugs Bunny, Spider Webs, 8-Ball, Alligator, Snake, the fight against Breast Cancer, Stars and Stripes, a Brain, Jack-O-Lantern, and a Chicago-themed version of Van Gogh’s Starry Night. Players were able to select the helmet they wished to wear for the game. 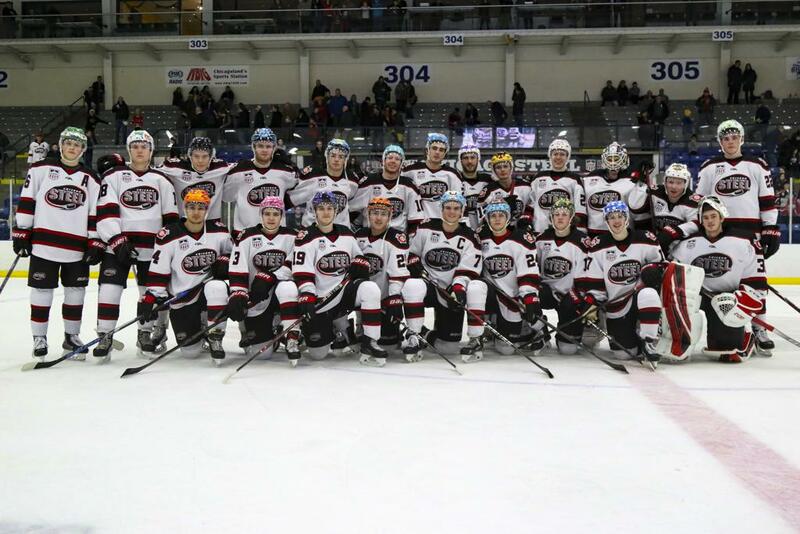 After the game, players delivered the game-worn helmets and took photos with auction winners immediately after the game and autographed the commemorative helmets. Steel players were greeted by winning bidders and many of the artists that designed the helmets.